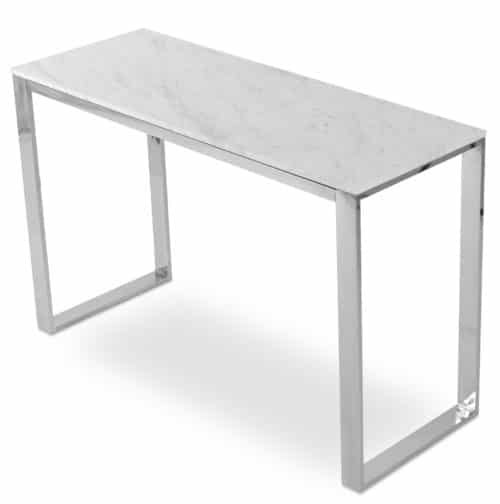 Long Description Our New Luxe Collection will make any project or room the sheer essence of Elle-Décor! 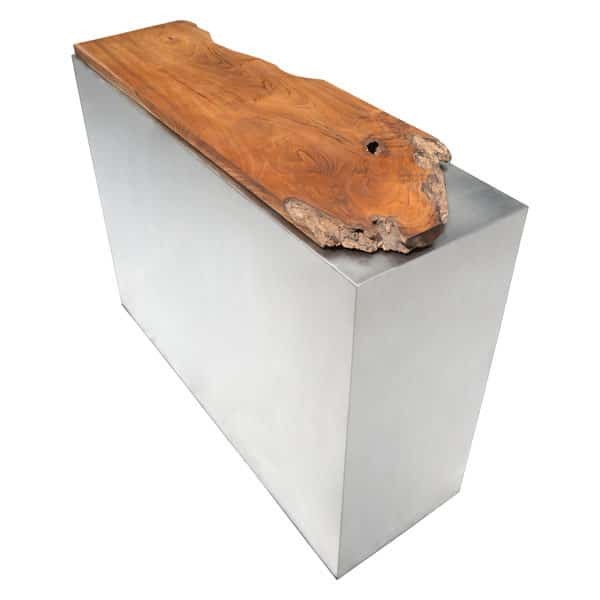 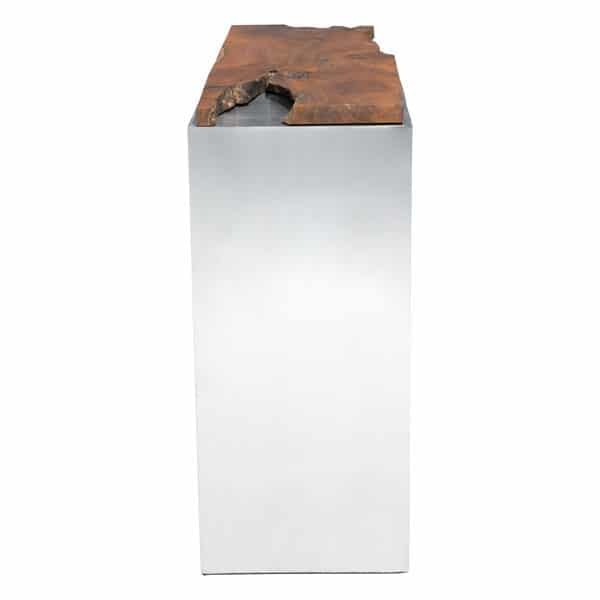 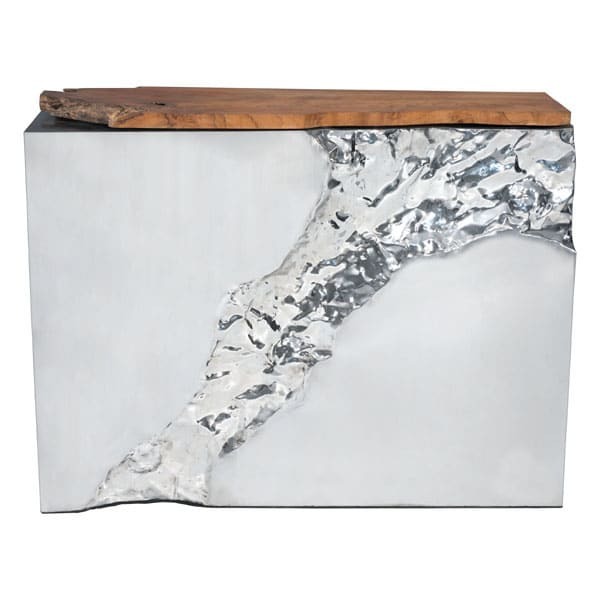 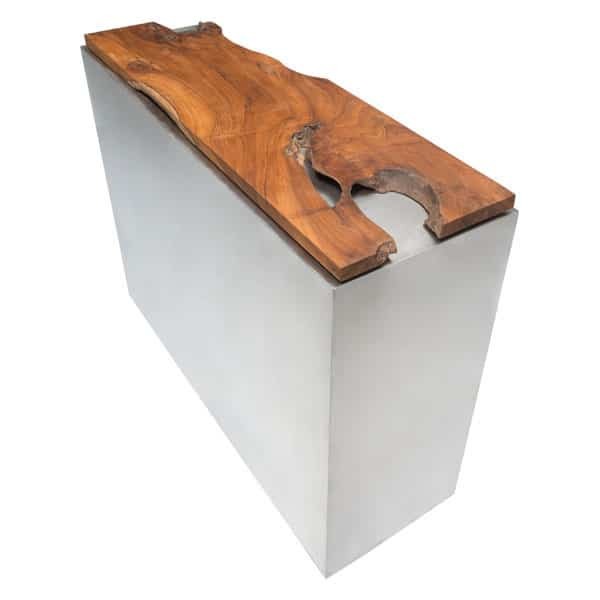 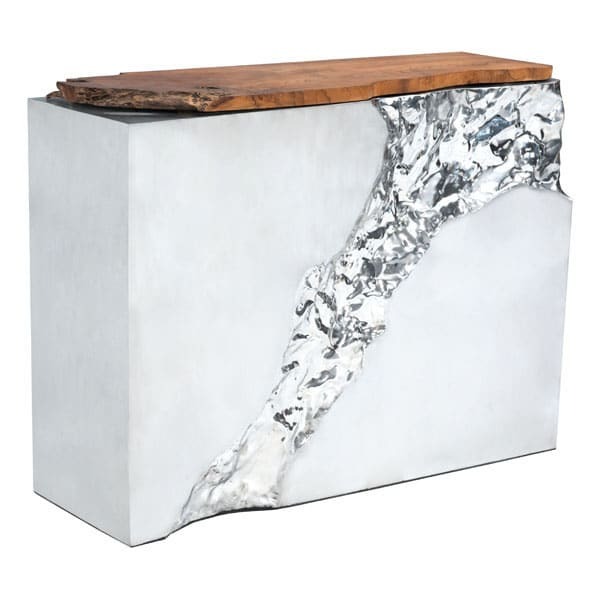 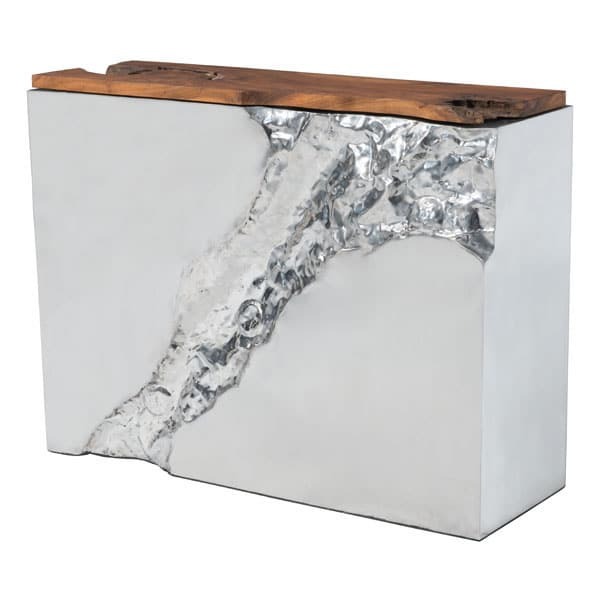 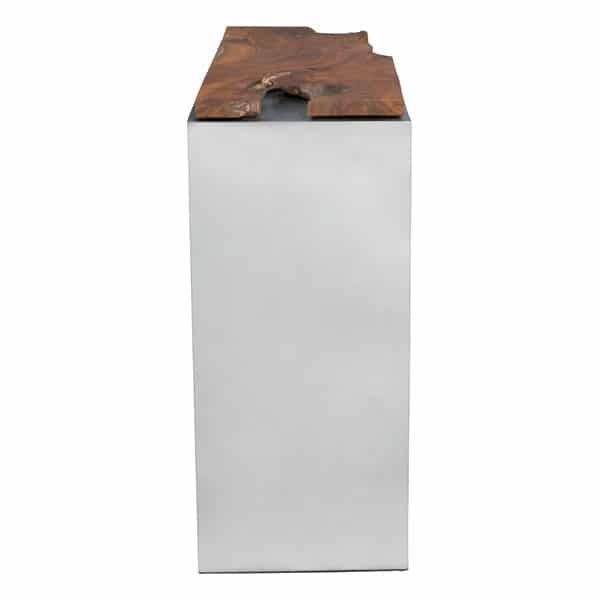 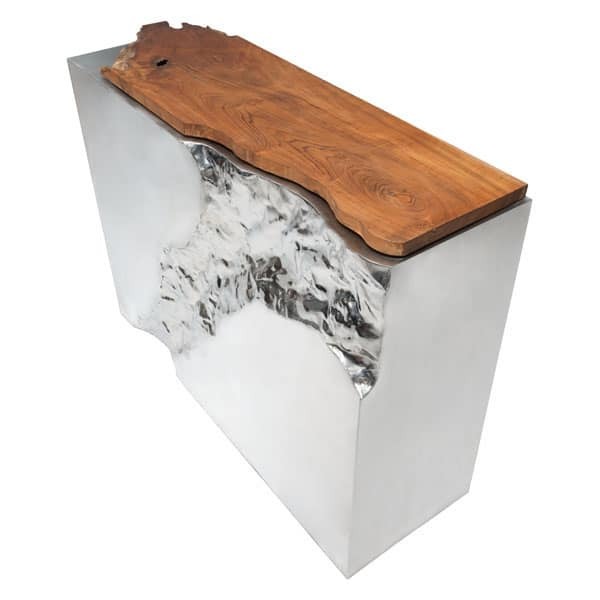 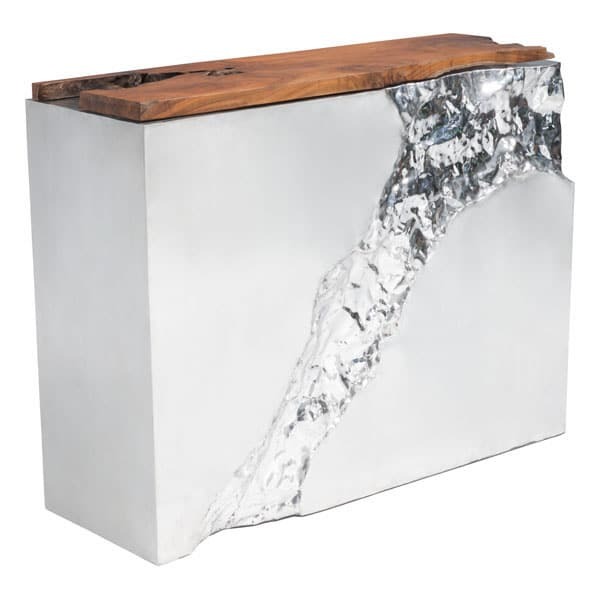 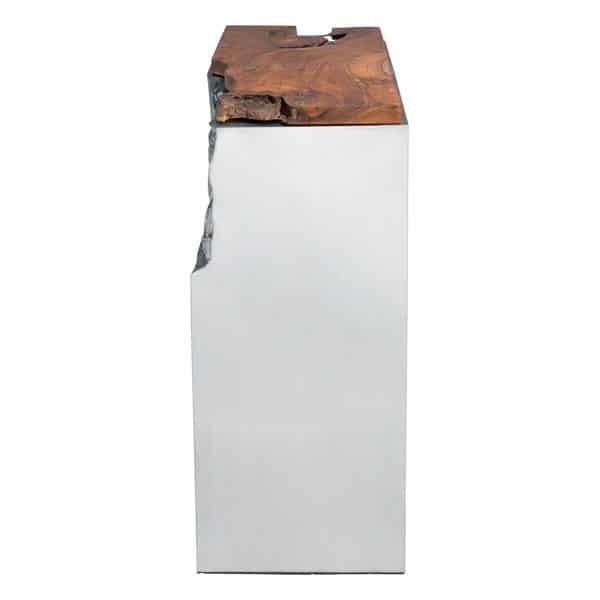 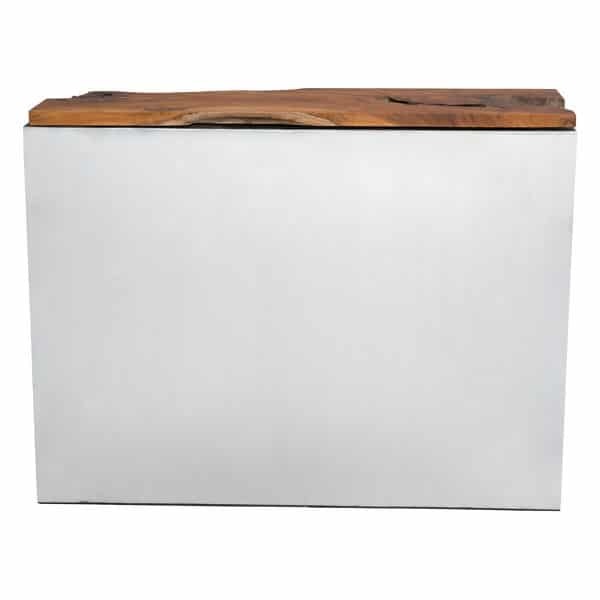 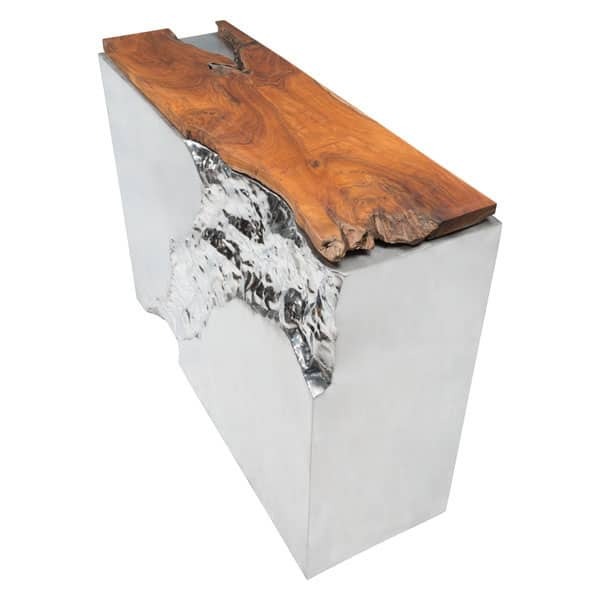 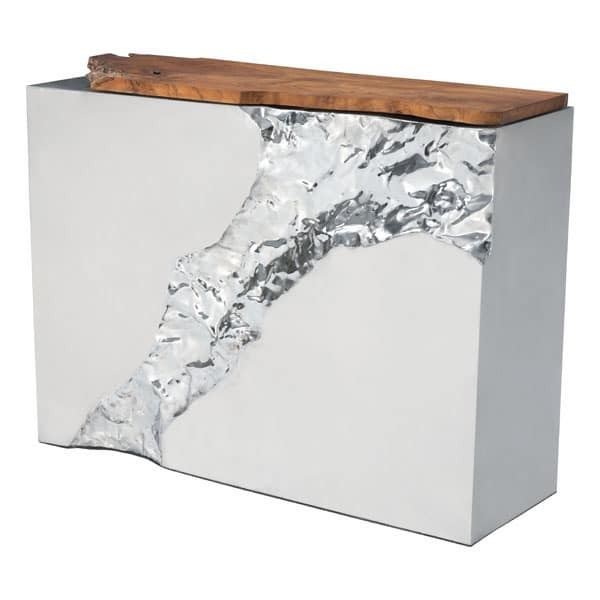 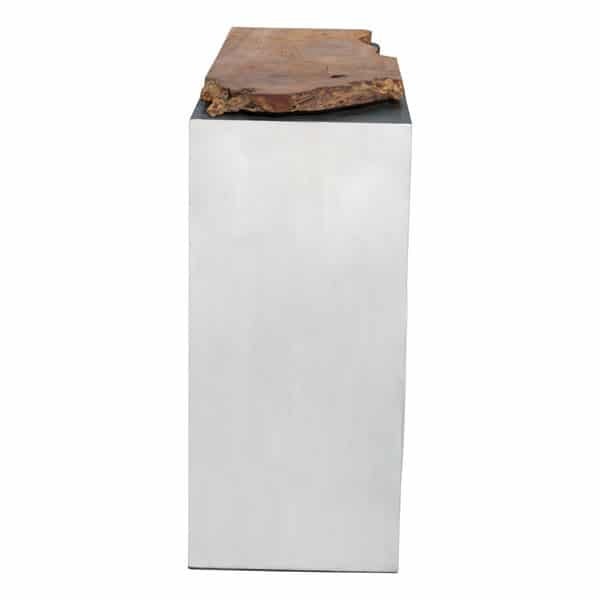 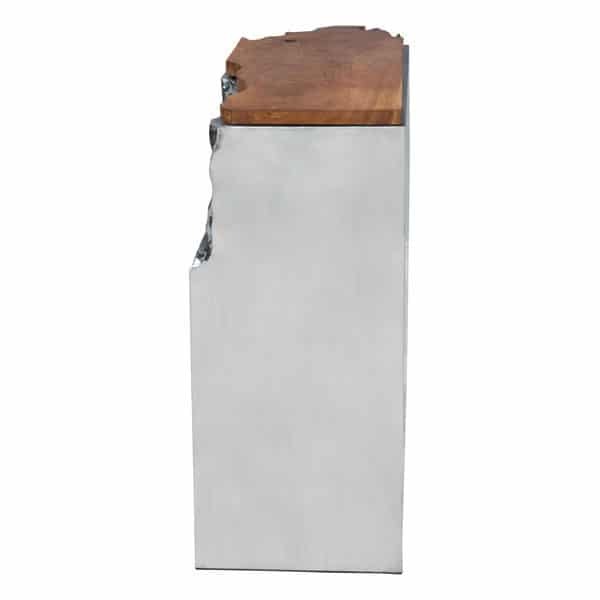 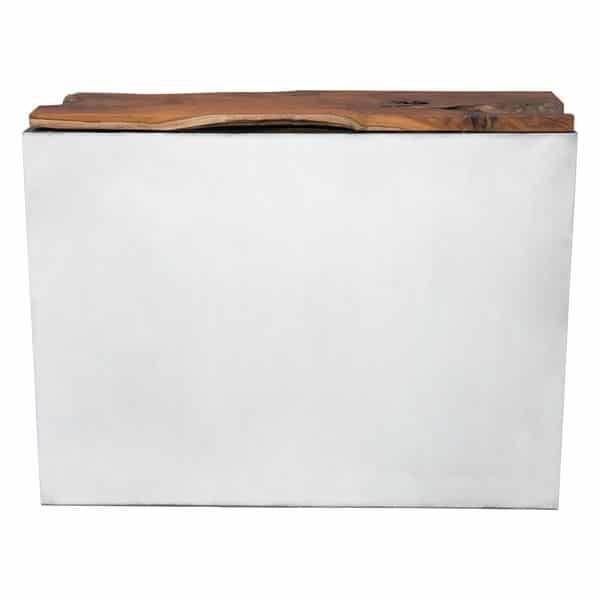 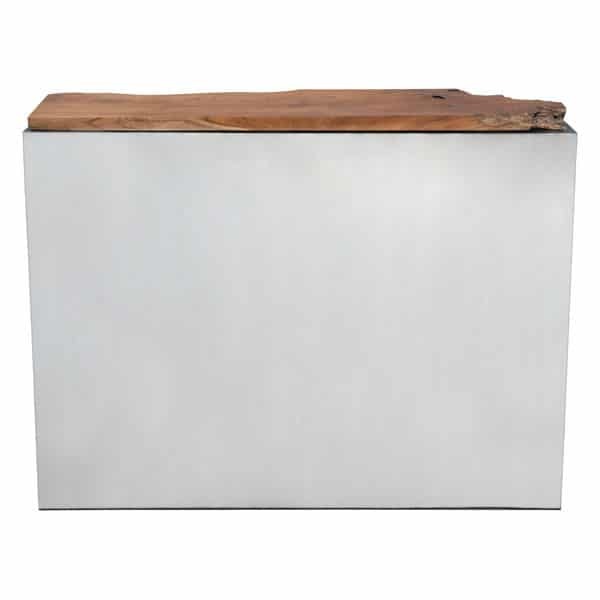 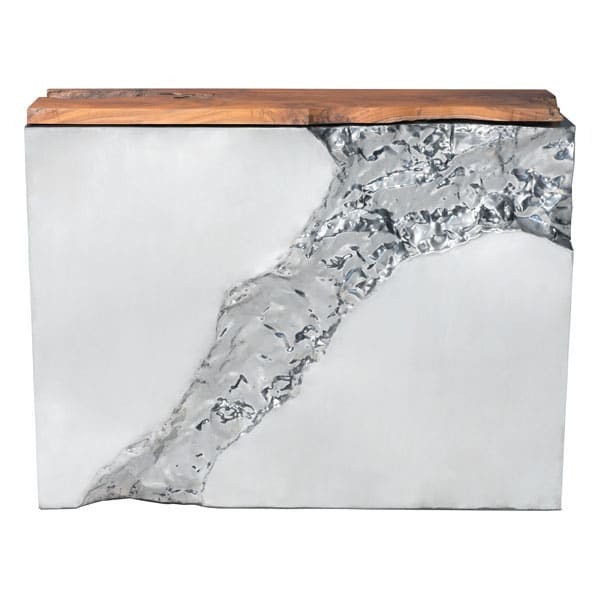 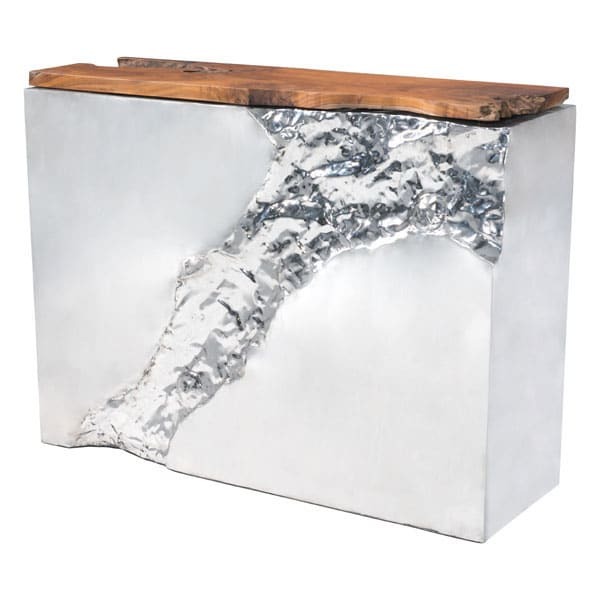 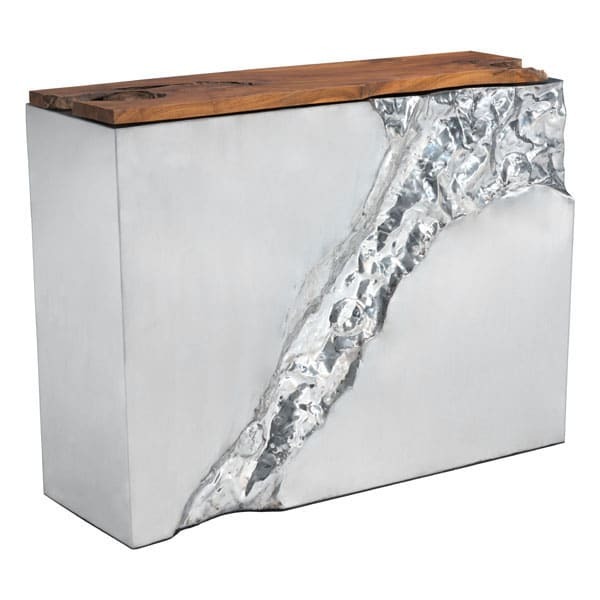 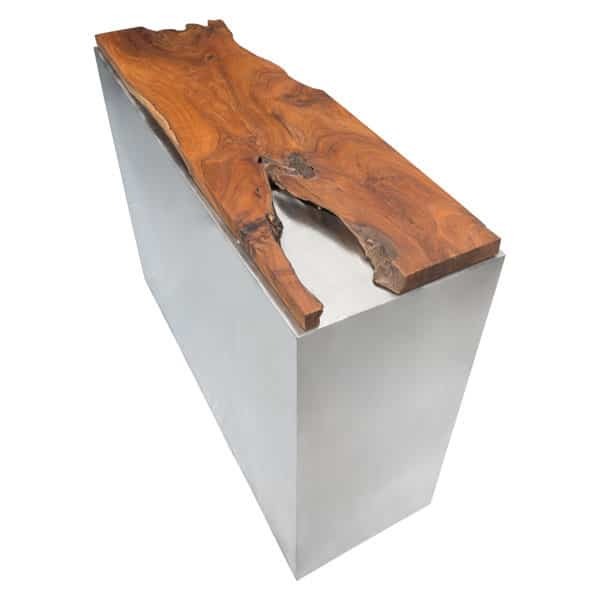 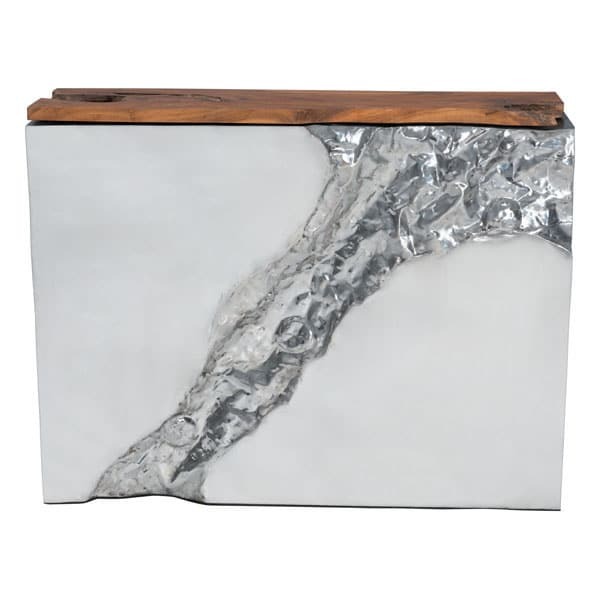 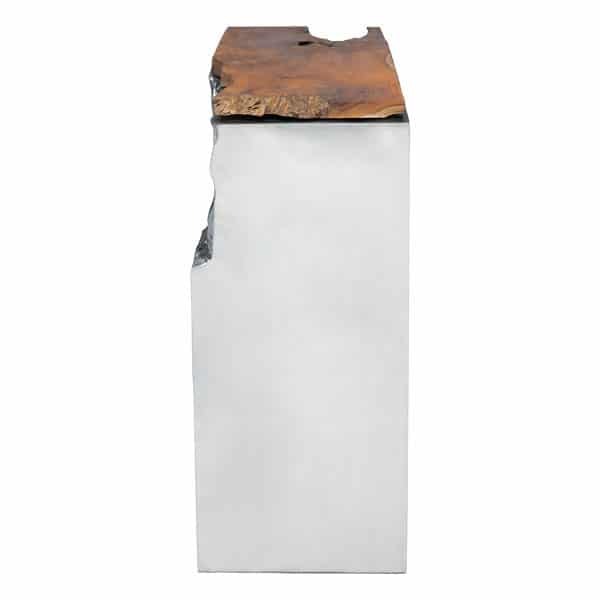 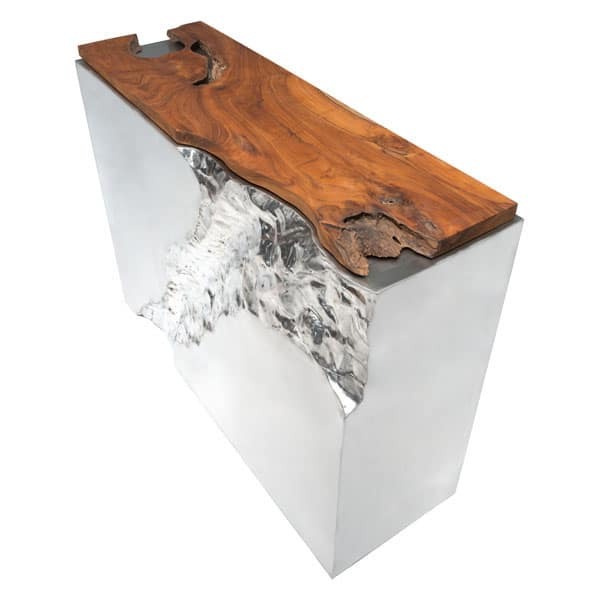 As the stunning Stainless Steel construction is designed with a unique fissure that splits down the front of each piece and is accented by reclaimed Teak pieces in a smooth wax finish. 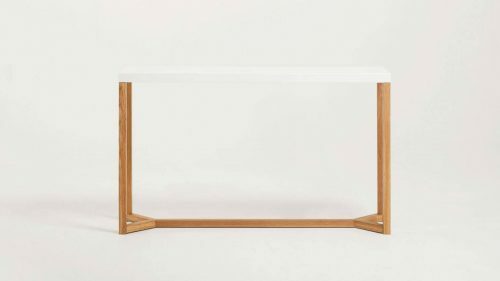 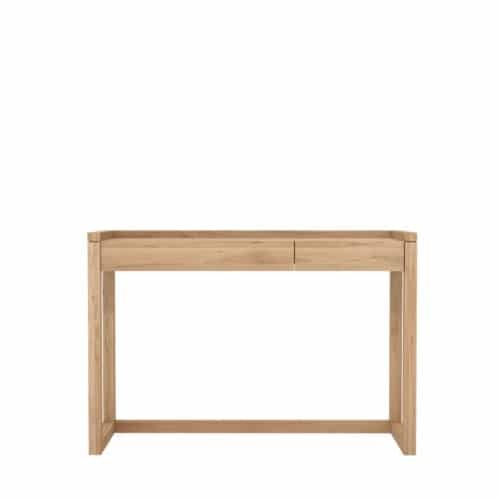 Sold separately the collection includes: side, coffee and console tables. 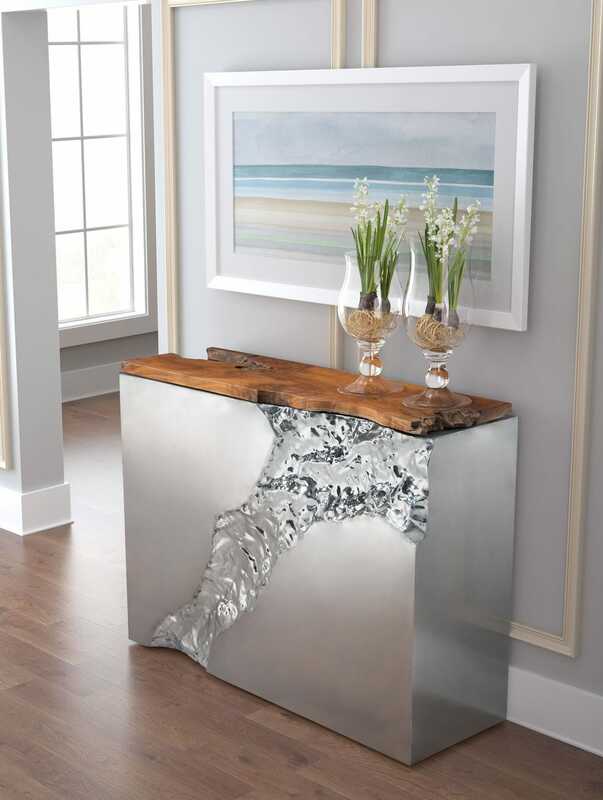 Each piece is created to stand alone or in groups to create a modern esthetic for living rooms, boutiques and hotel lobbies.